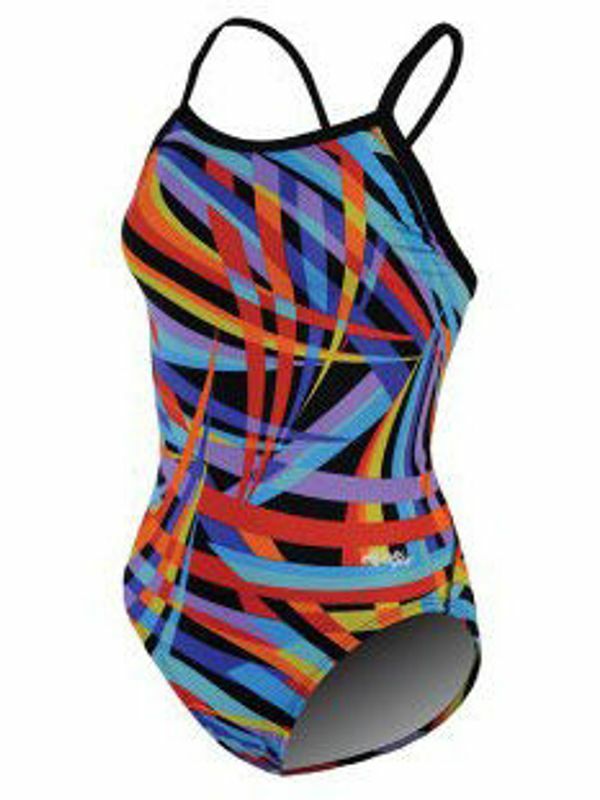 The Dolfin Chloroban Alpha Womens V Back One Piece Swimsuit is black with a multicoloured geometric line pattern. Thin black straps come together in the back to form a v-back design. The open back design allows for full range of movement while swimming. This swimsuit is perfect for active swimmers looking for style and functionality.